Rent a Morgan car for a day, a weekend or a short break. Open topped Morgan motoring, bringing you close to the elements, is an experience that shouldn’t be missed. 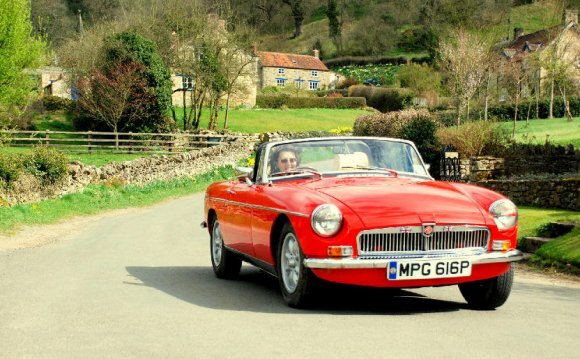 It’s ideal as a gift for someone special, for fun occasions to remember, or for a classic wedding car. Or hire this legendary hand built sports car to try it before you buy. Painted in Regal red, it has wire wheels, black interior and a black hood. Morgan sports cars have an impressive pedigree, having been manufactured in the UK since 1910. Originally the factory at Malvern produced three wheelers. The 4/4 was the first four-wheeled Morgan and started life in 1936 priced at £194. It is called a 4/4 because it has four wheels and four cylinders, whereas Morgan’s earlier cars had all until then, been three wheelers. The Morgan 4/4 is still in production today.